Perhaps you’re a venture capitalist who’s planning to put his money in an upscale dining establishment. Or maybe you have a friend who’s starting his own restaurant and is asking you to invest in it. Either way, there’s a great question here that you may want to bring up to a restaurant management consultant: is investing in a restaurant a great thing to do? You won’t become rich overnight when you invest in restaurants. But, if you get lucky and put your money in a lucrative business, and seek the help of a restaurant management consultant, chances are you’ll reap substantial yields from your investment. This will, obviously, depend on what kind of investor you’ll be. If you decide to be an active investor, someone who is likely to find themselves rolling up their sleeves and getting into various restaurant tasks, such as waiting tables, clearing tables, washing dishes, mopping floors, and managing the cash drawer. It would be a ton of hard work, but the payoff is getting deeper insights into the restaurant business and what you’re putting your money into. 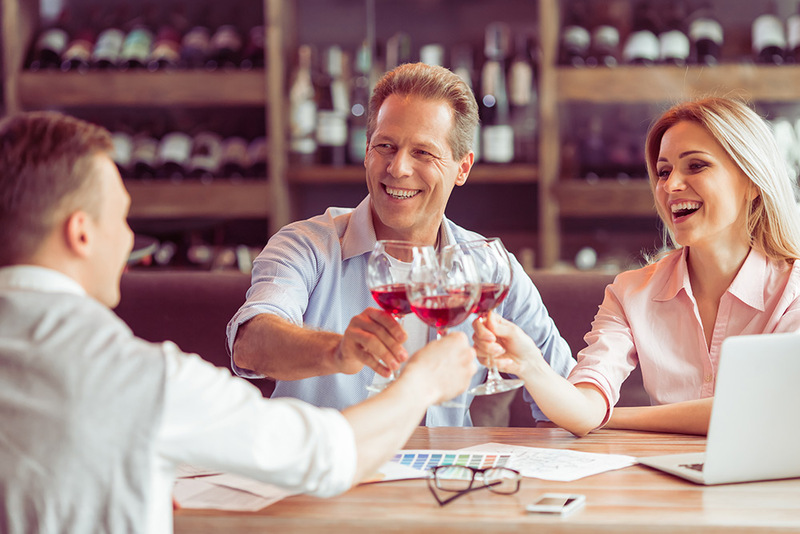 If the restaurant you’ve invested into becomes a success, you’ll have the sense of satisfaction knowing that you played a part in its journey. It’s something that you don’t get to experience every day! If you decide to be a passive investor, you’ll be handing your money over to people who may or may not know how to properly run a restaurant. If it turns out to be latter, the business you’ve invested in may not be properly managed and there’s a chance that it closes its doors sooner rather than much later. Even if the restaurant’s founders turn out to be shrewd entrepreneurs, they may not operate by the same principles as you do, which can create tension between you and make managing the business difficult. These are the prime conditions where a trusted restaurant management consultant can help you to avoid. Just like with any kind of investments, a restaurant business comes with multiple risks. As mentioned above, you can lose your investment if the business is mismanaged by the founders and active co-owners. You can also lose money if the restaurant simply isn’t attracting customers and bringing in any revenues. There are lots of reasons why a business can go down, and any of them can cause you to lose the amount you’ve invested into the restaurant. As mentioned above, you’ll need to get your hands dirty if you decide to be an active investor. This is particularly true with new restaurants that don’t have the budget to hire more staff. If you have a regular nine-to-five job, you might find yourself helping in the restaurant when you get out of work and deal with constant fatigue. Investing in a restaurant comes with both pros and cons. It’s important to weigh them carefully before making your decision. If you decide to push ahead with the investment, make sure to call us here at Perry Group. We’re an experienced restaurant management consultant firm and can help you breathe life into your business. If we can’t assist you, we’ll point you in the direction of a restaurant management consultant company that can.